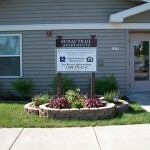 This facility is designed to provide comfortable and secure housing for people with chronic mental illness who are able to live relatively independently. 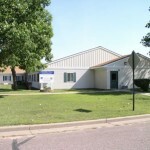 Westbay sits alongside Oakwood Apartments in a quiet neighborhood that provides its residents with a secure environment and ready access to downtown Superior amenities. Westbay is just blocks from the Port of Superior and Lake Superior, offering vistas of the beautiful lake and the comings and goings of both “lakers” and “salties”, the former boats which operate only on the Great Lakes and the latter ships that may come from any part of the world. This one-story building in a quiet neighborhood provides its residents with a secure environment and ready access to downtown Superior amenities including restaurants, retail outlets, the public library, a supermarket, a museum/historical society and houses of worship. 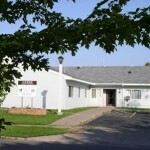 Blue Valley Apartments is located in a newly developed residential area which a few short years ago was farm fields. In fact, right next door are the remnants of an old farmstead. The farm is gone but the old farmhouse (still occupied) provides a glimpse into the past. 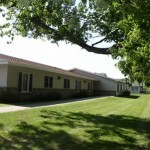 Blue Valley Apartments itself has been designed to house people with chronic mental illness. This 8 single-bedroom unit building eliminates much of the commotion of larger buildings, making it more homey and trouble-free for residents. Set back off Wisconsin Avenue, Phoenix Villa North is a tranquil, secure place to call home. The building is set on a very nice campus with a huge back yard suitable for croquet, badminton, even softball (but don’t lose the ball in the woods off to the back!). Also in back is a cement slab patio with furniture, a grill and all the ambiance for a great cookout. Inside, Phoenix Villa North has a well-appointed community room and other amenities. 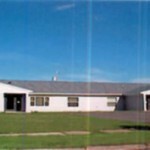 Occupancy is limited to persons with chronic mental illness who are able to live in relative independence. Sumac Trail is a newer development, its size and location designed to provide the tranquil, uncluttered environment conducive to well-being. The neighborhood in which the building is located is a strictly residential and Sumac Trail has a wooded backyard frequented by a variety of wildlife, including, yes, deer and raccoons.